The Museum of Filicudi is one of the detached sections of Museum of Lipari. It was opened to public in 2003, but unveiled only in 2004. 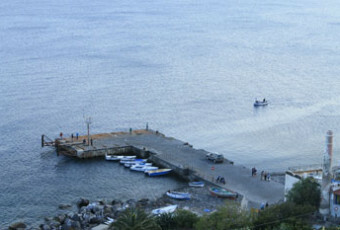 The structure is found in the Port of Filicudi. It is about the traditional Aeolian structure situated of two floors, arising upon the prehistoric village of Capo Graziano. The Museum has been divided into five exposition rooms, four of which situated on the first floor, and one on the ground floor. On the ground floor it is possible to sightsee ethno-anthropological findings, work tools, or those of everyday use. These objects were given to the Museum by the island’s inhabitants themselves who, together with the experts, have perfectly reconstructed the history of these findings, and therefore, of the island, too. Going up to the upper floor and entering the first exposition room, it is possible to read the chronological table of the island’s history, of its morphological changings, the aspects dealing with volcanology, the evolution of the island’s life, and also the relationship between man and environment. In the second room there are the findings of the first period of the Bronze Age, the historical period, which lasted from the end of the third to the first part of the second millennium B.C., and the medium Bronze Age, the historical period lasted from the 14th till the beginning of the 13th century B.C. These finds were discovered thanks to the excavations of the villages Piano del Porto and Capo Graziano. 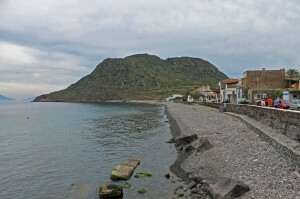 The history shows that the Aeolian Islands underwent many dominations, or however, were visited by populations of cultures different from those of the typical western culture. The evidence can be found in the objects of pottery made of “African clay bearing little images”. The third room is dedicated to the marine archaeology. It is possible to admire ancient amphora of transport and stumps of anchor. One of the amphora dates back to the Punic period of the 5th century B.C., the others date back to the 4th B.C. , to the Greek-Italic period. Another group of amphora dates back to the 2nd B.C., and coming from the wreck A “Roghi”. The forth and the last room is still in set-up.